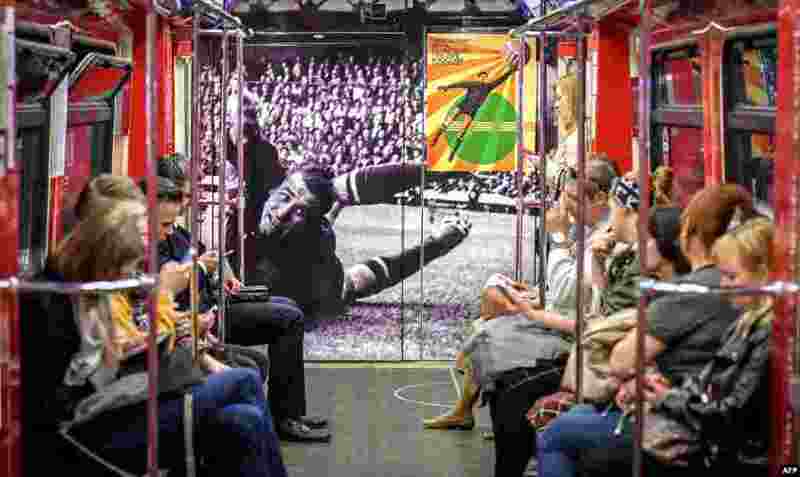 1 Commuters ride a World Cup-themed metro car decorated with a picture of Soviet goalkeeper Lev Yashin, in Moscow, ahead of the Russia 2018 World Cup football tournament. 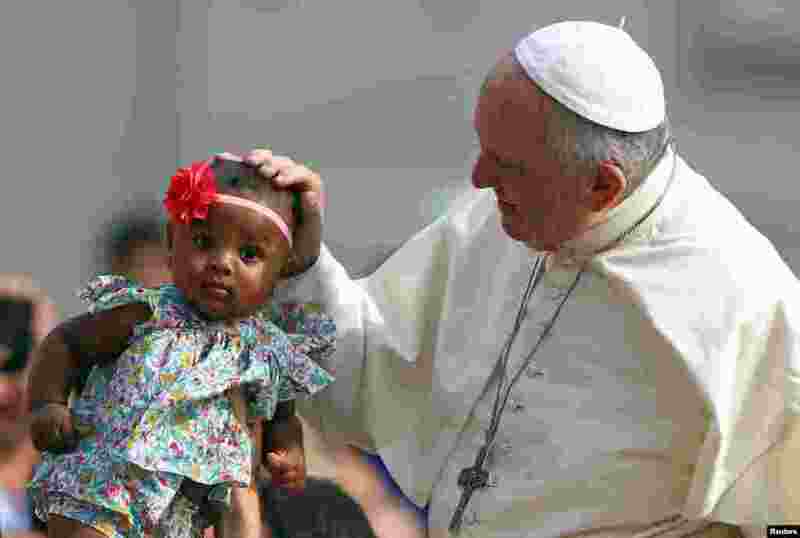 2 Pope Francis blesses a child as he arrives to lead the Wednesday general audience in Saint Peter's square at the Vatican. 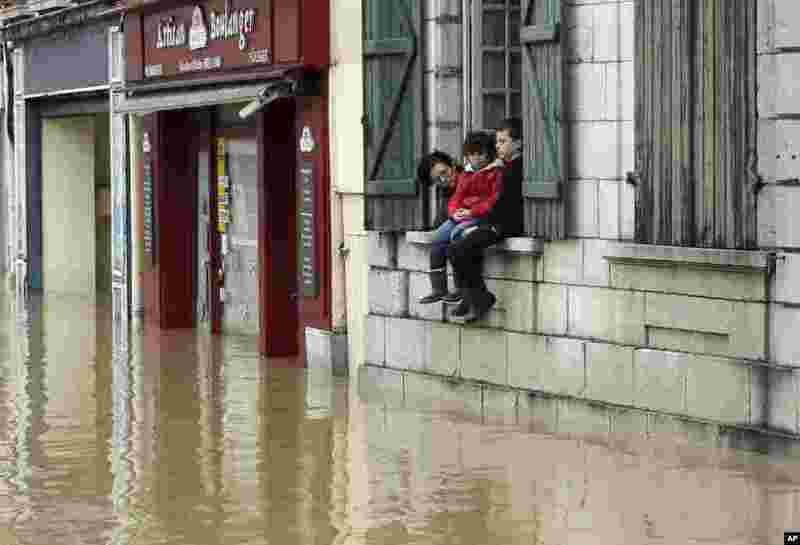 3 A mother and her children watch from their house the level of flooded water caused by heavy rain and thunder storms, in Salies-de-Bearn, southwestern France. 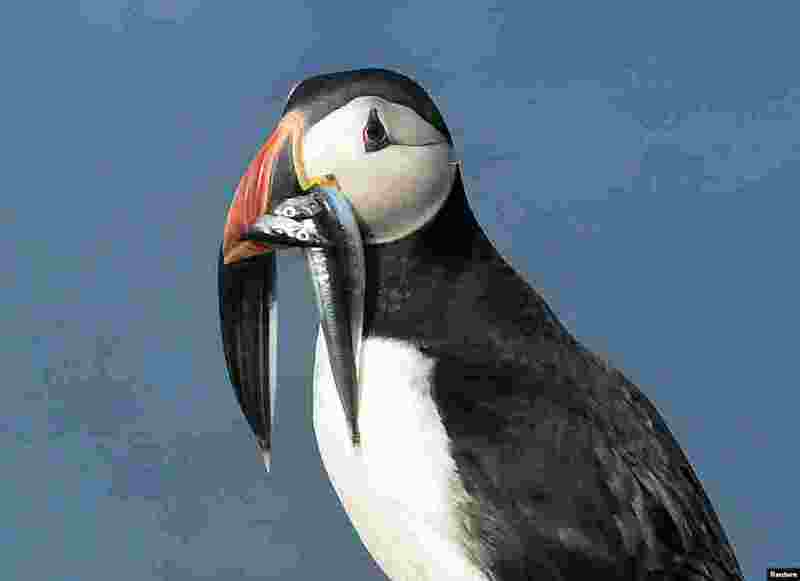 4 An Atlantic Puffin carries sand eels in its bill on the island of Skomer, Pembrokeshire, one of the most important wildlife sites in Europe and the breeding place for over 30,000 Atlantic Puffins, in Wales, Britain.